For the first book review for Ringside, I thought it fitting to review Juliana Haygert’s first novel in her Breaking series, Breaking Free (formerly titled Breaking the Reins). I read this book several years ago and absolutely loved it. For me, the most important thing in a novel so completely centered around the horse industry is that the equestrian elements are accurate. This novel delivers! I will say that there were a few discrepancies, but nothing major at all. It also helps that Juliana herself has some experience with horses, and that always makes for a much better novel. When reading the synopsis, this novel seemed at first like another of your typical cheesy horse romances, but I was delighted to find that it’s nothing of the sort. The main character, Hannah Taylor, is not the arrogant, air-headed rich girl I fully expected her to be. Instead, she is intelligent, stubborn, and strong-willed in spite of the tragedies of losing both her grandmother and her show horse. I also appreciate the parts in the novel featuring Argus, a rescue horse that Hannah takes in. I’ve worked with plenty of rescues in my time, and each one handles their trauma differently. I like how Juliana shows Hannah adapting to Argus, not just in the way she handles him, but in the way she handles herself around him. 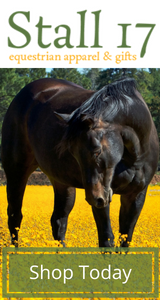 Horses can be extremely sensitive creatures, and Argus is an excellent portrayal of that. Breaking Free is a fast-paced, beautifully written New Adult novel that includes fairly accurate depictions of life with horses, and especially with abused and neglected horses. If you’re a fan of good books, this one deserves to be on your shelf. Horses, mansions, tea parties, and lies are twenty-year-old Hannah Taylor’s life. To others, her family and her relationship with Eric is perfect. But she knows the truth. She lives it. After a fire takes her grandma’s life and kills her horse, Hannah’s immaculate life spirals out of control. Her father disapproves of her decision to run her grandma’s ranch instead of focusing solely on learning the family business; Animal Control brings her Argus, a mistreated horse that she can’t turn away even though she’s not ready for another horse; and her boyfriend, Eric Bennett, a world famous polo player, becomes possessive and authoritarian. Despite her best efforts to disguise it, Hannah grows wary of him. Then, Leonardo Fernandes struts onto the polo scene. A cocky rookie with a messy life of his own, he’s drawn to Hannah and isn’t afraid of showing it, even when Eric makes it clear she is his and he’ll do whatever it takes to keep it that way. Hannah suffers for Eric’s jealousy. The abuse only gets worse when Leo steals the title of best polo player in the world from Eric. But the title isn’t enough for Leo. He wants Hannah too, and she can’t deny her attraction to him either. Somehow, she must find a way to break free from abusive Eric before he breaks every bone in her body. New Adult Contemporary Romance Novel. Contains scene of domestic violence. Check out Juliana’s book on Amazon today!